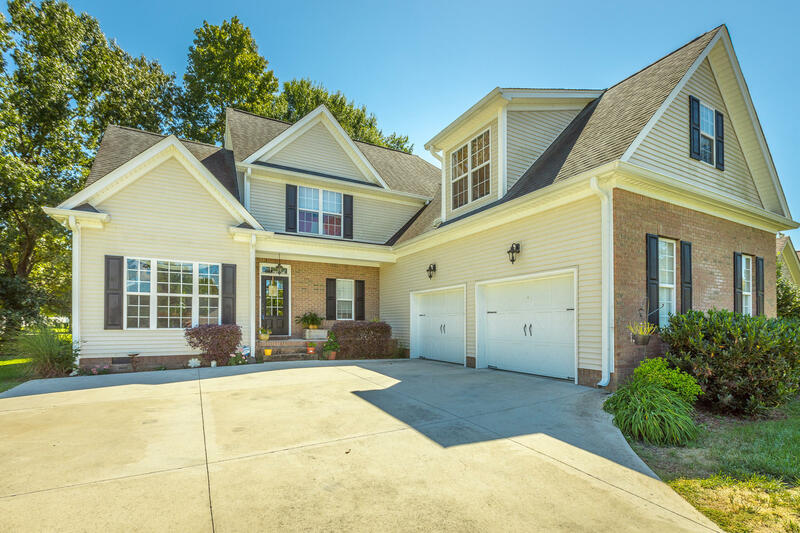 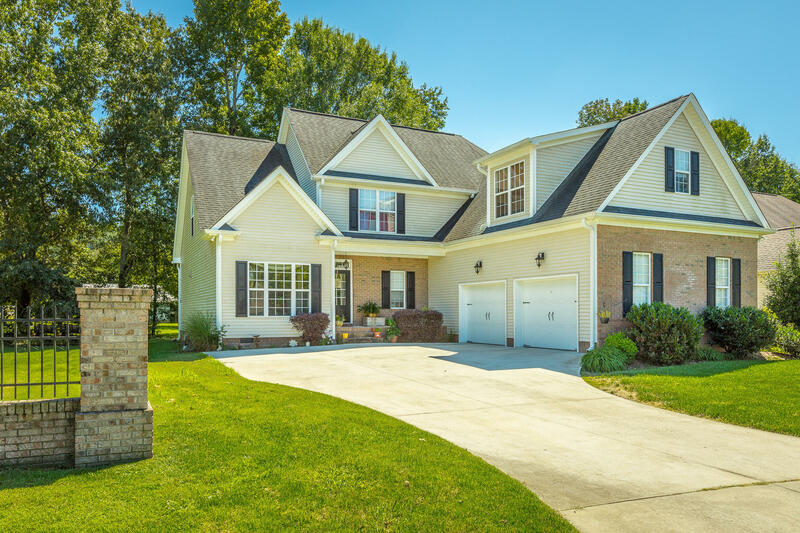 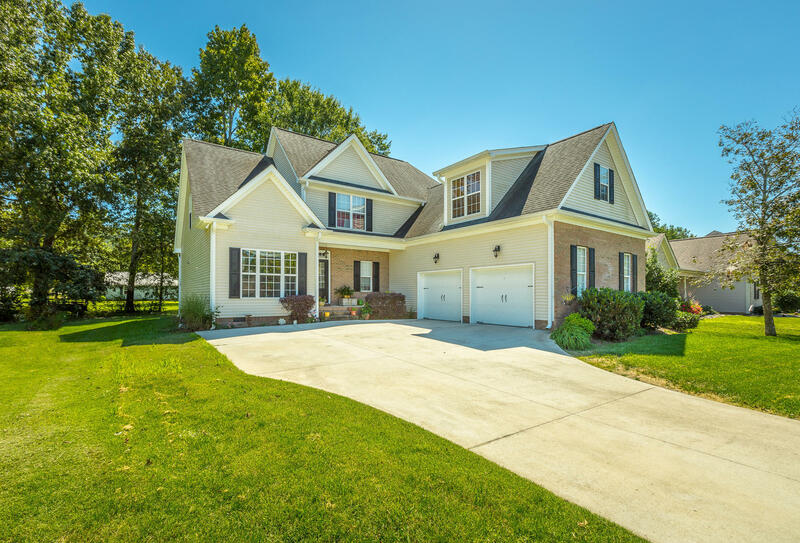 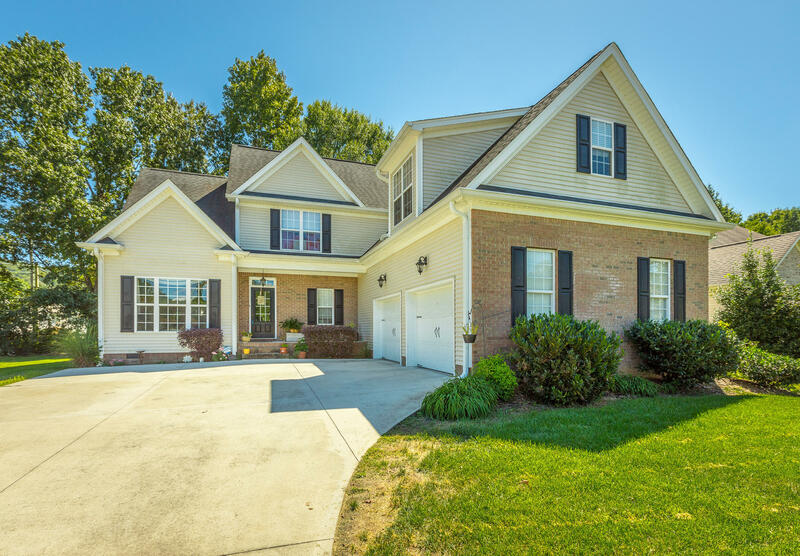 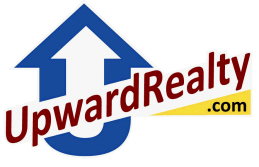 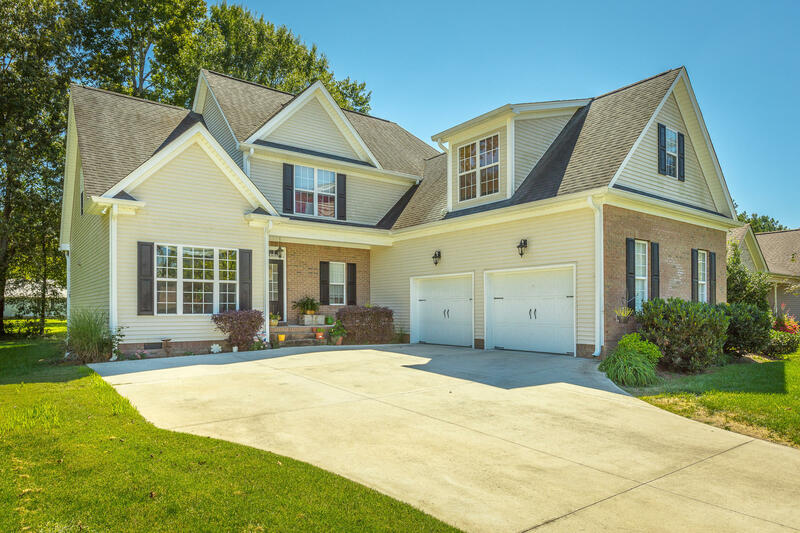 Large home in desirable Rose Garden in Hixson. 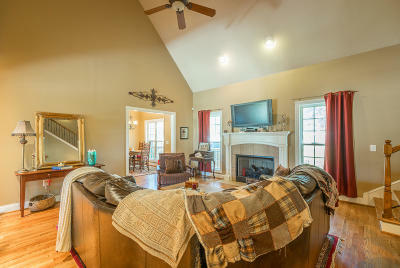 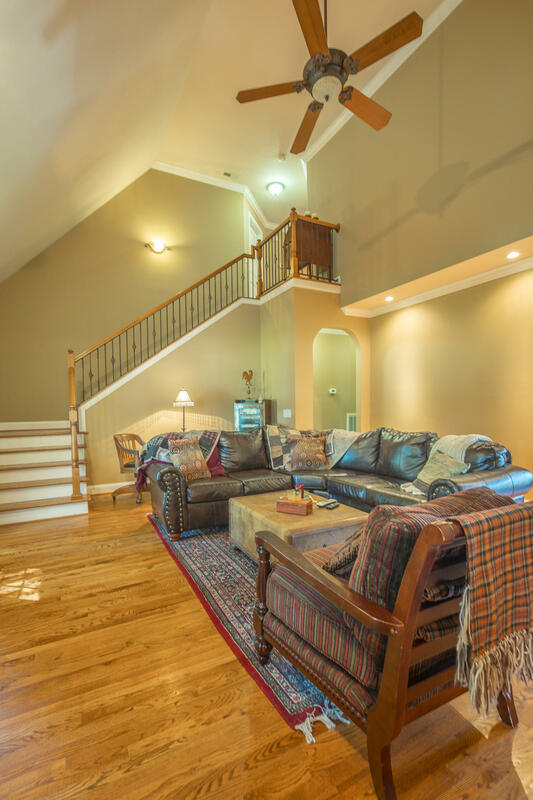 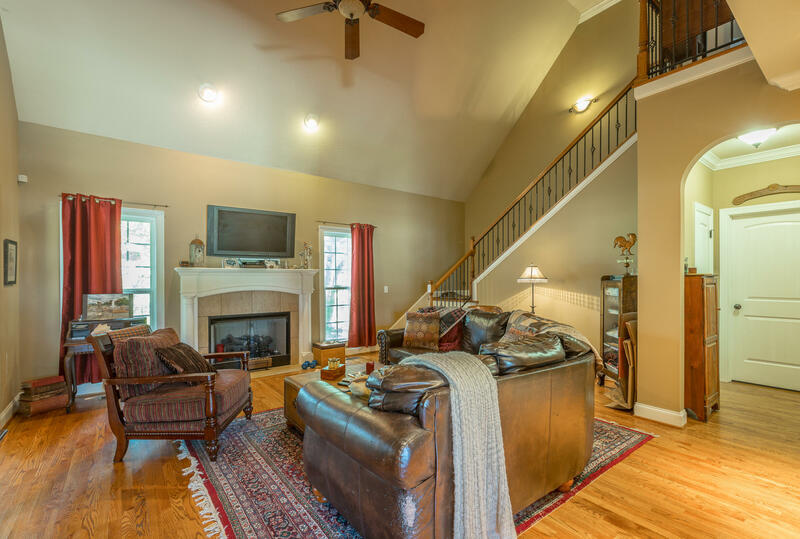 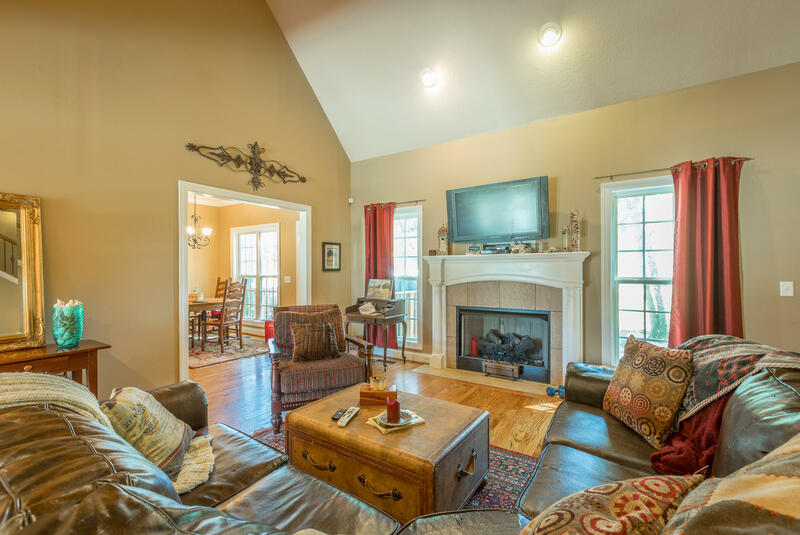 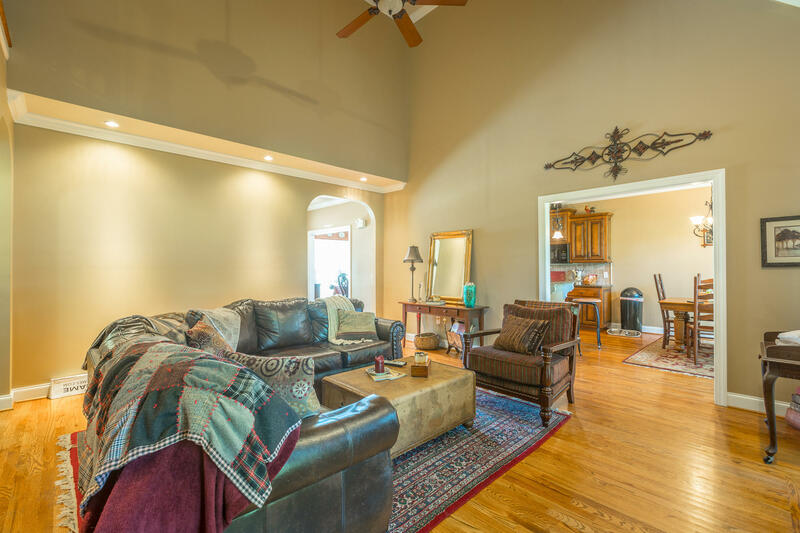 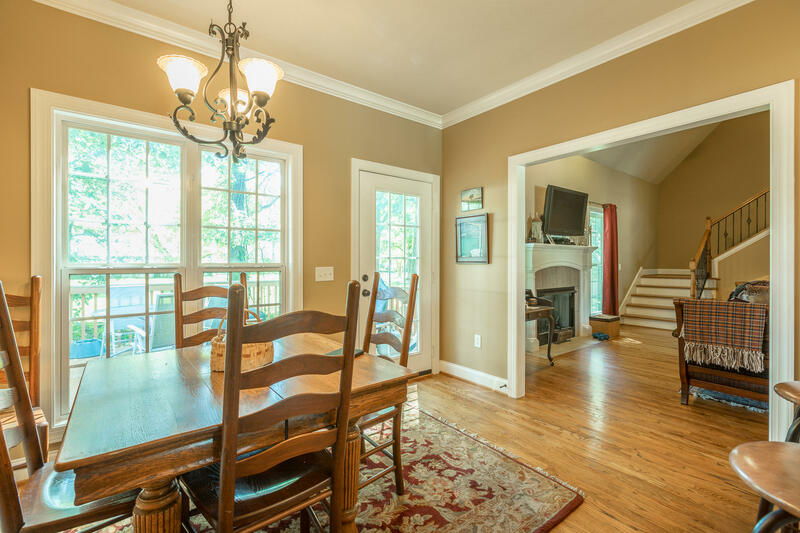 A welcoming foyer leads to great room with vaulted ceiling and fireplace. 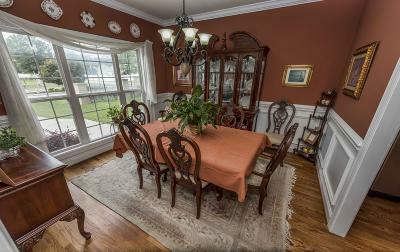 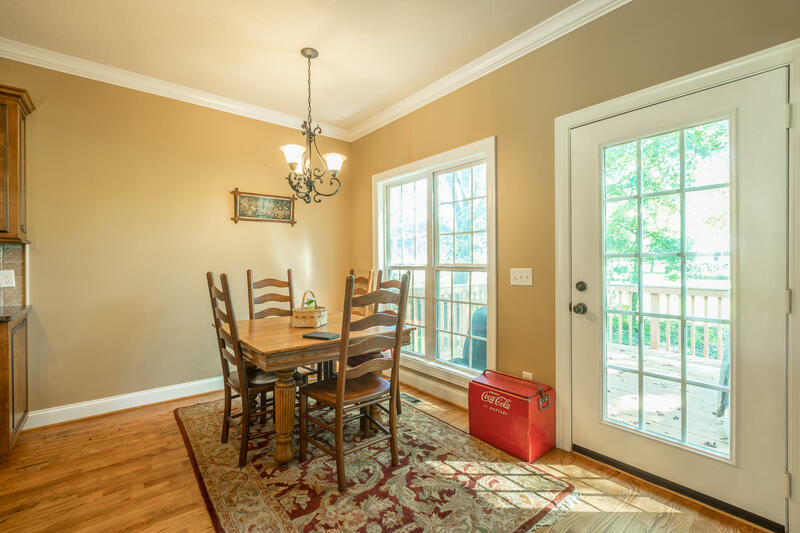 The large dining room adjoins the kitchen. 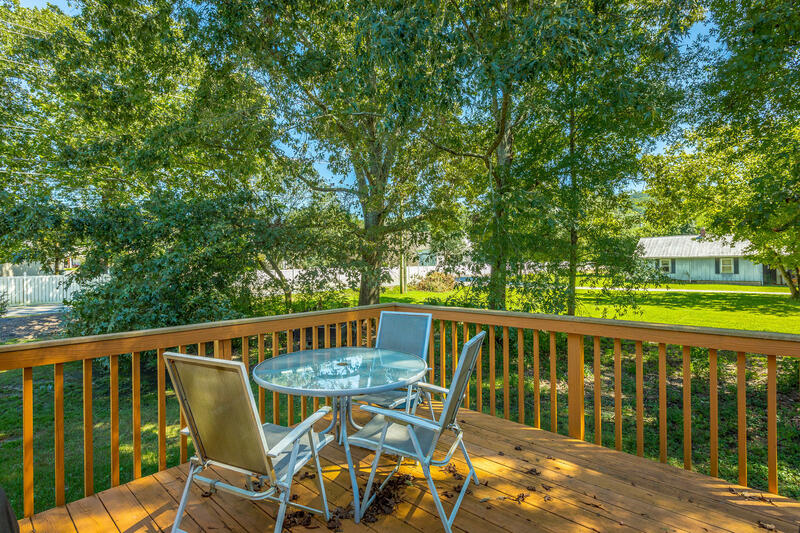 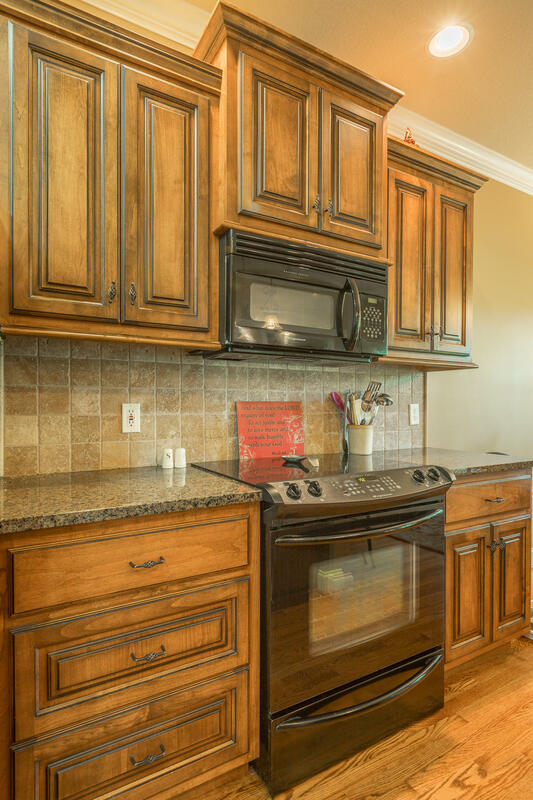 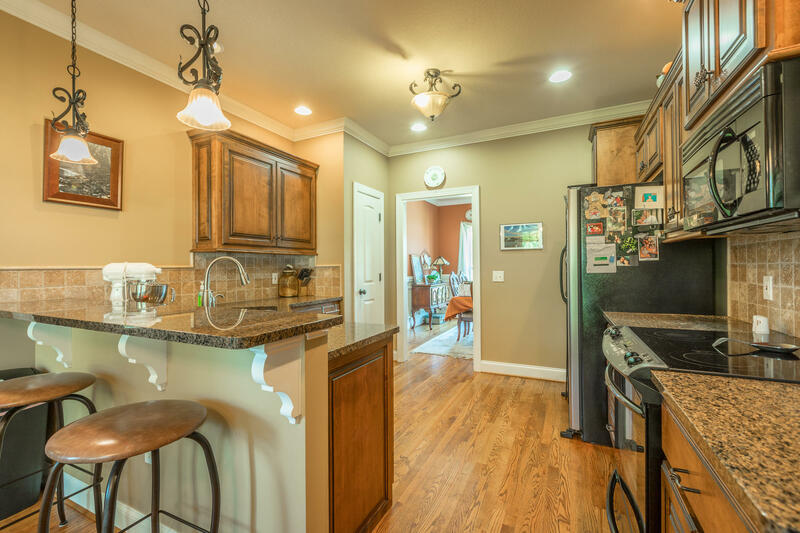 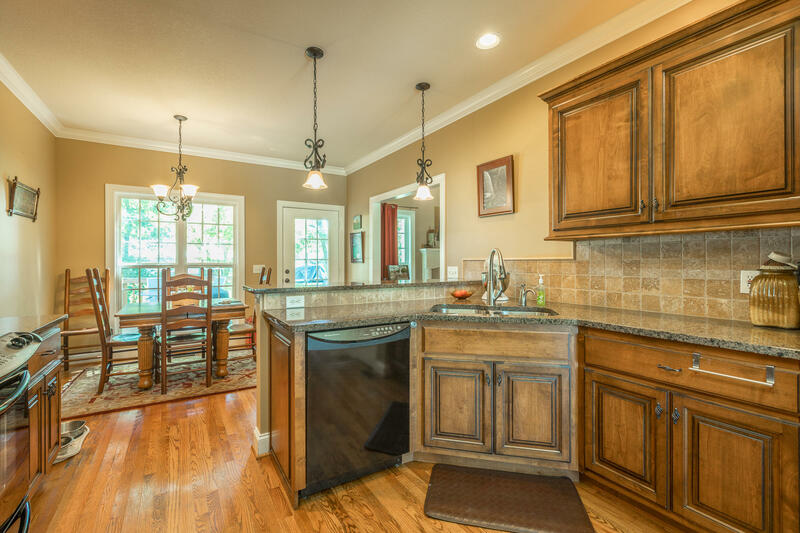 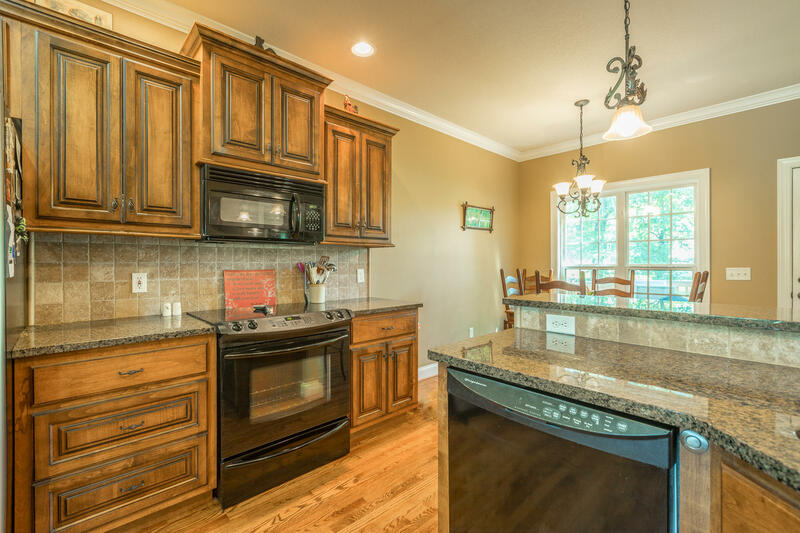 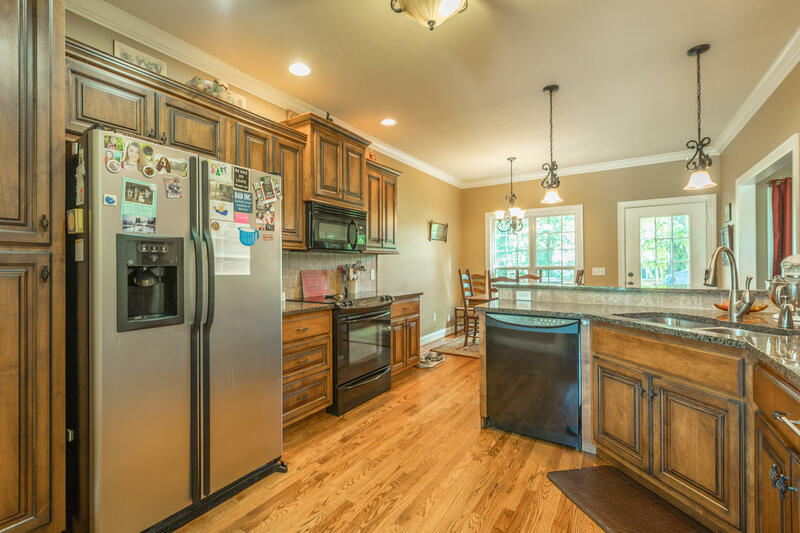 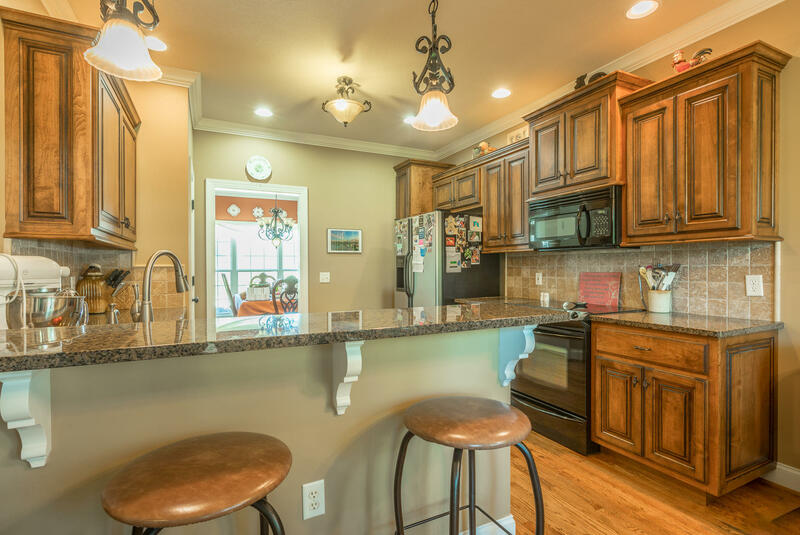 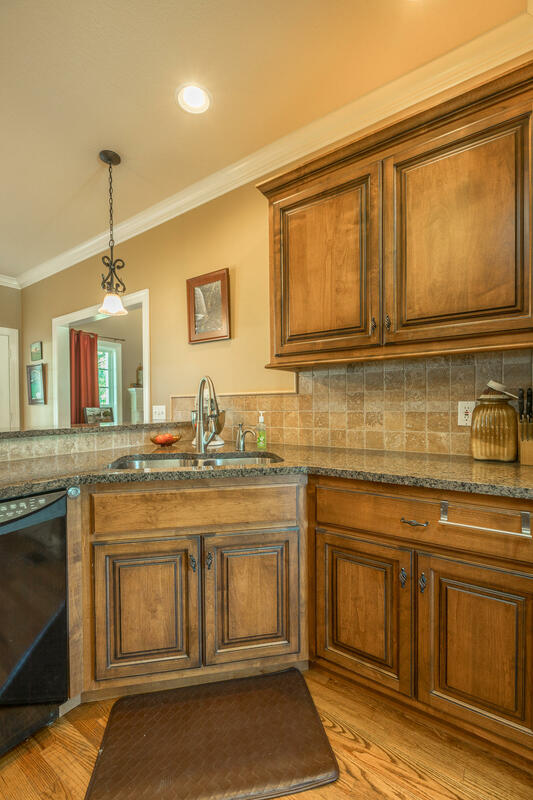 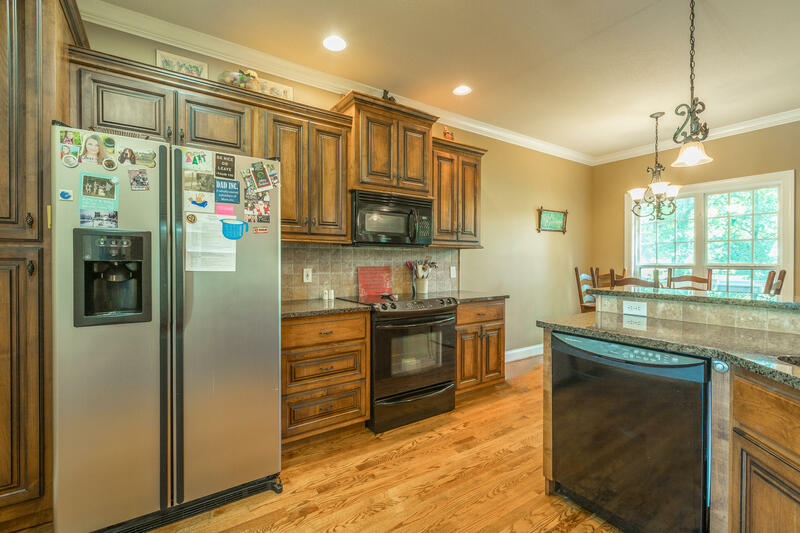 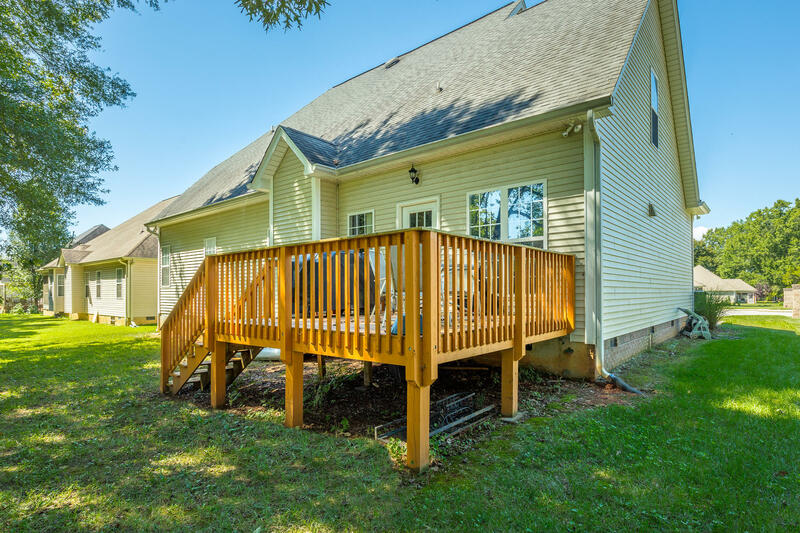 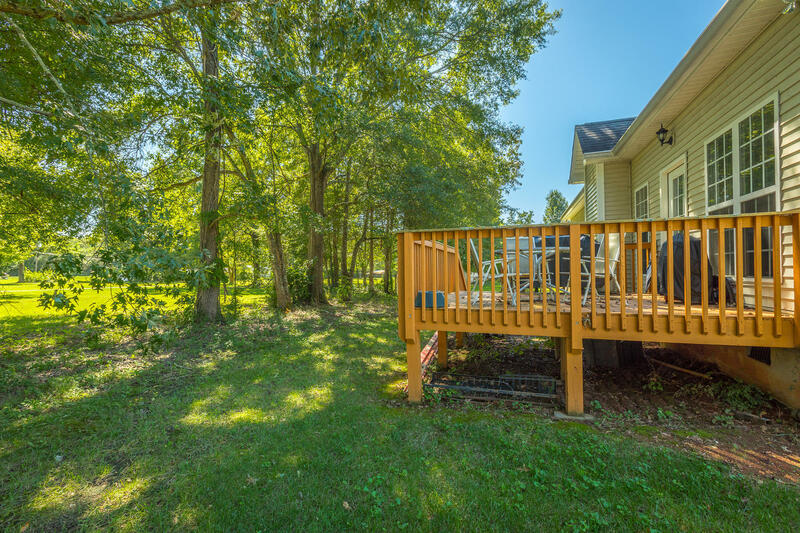 This gorgeous kitchen has granite counters and comes with all appliances including the refrigerator and a cozy breakfast area overlooks the back deck. 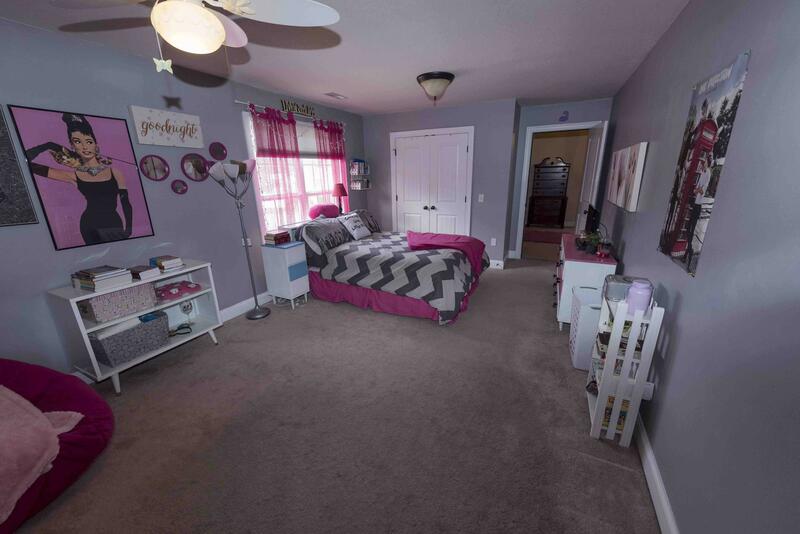 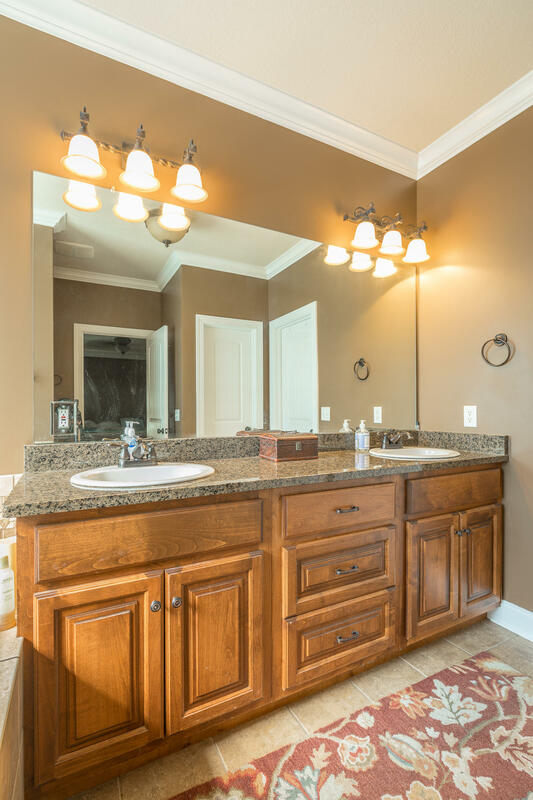 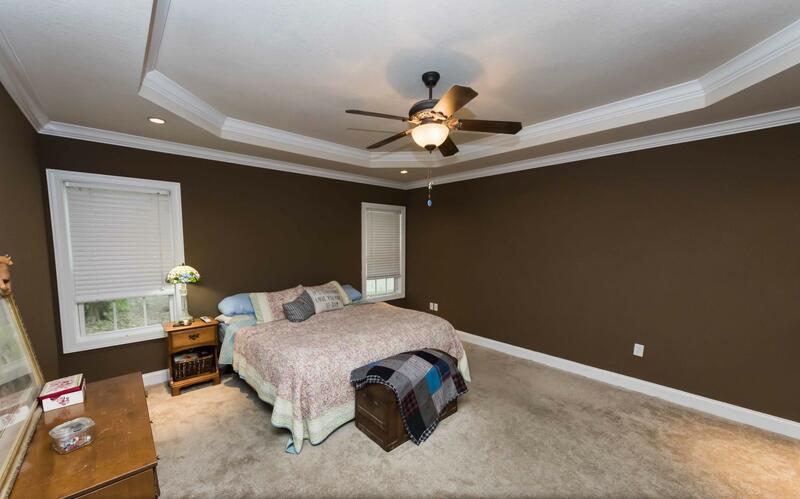 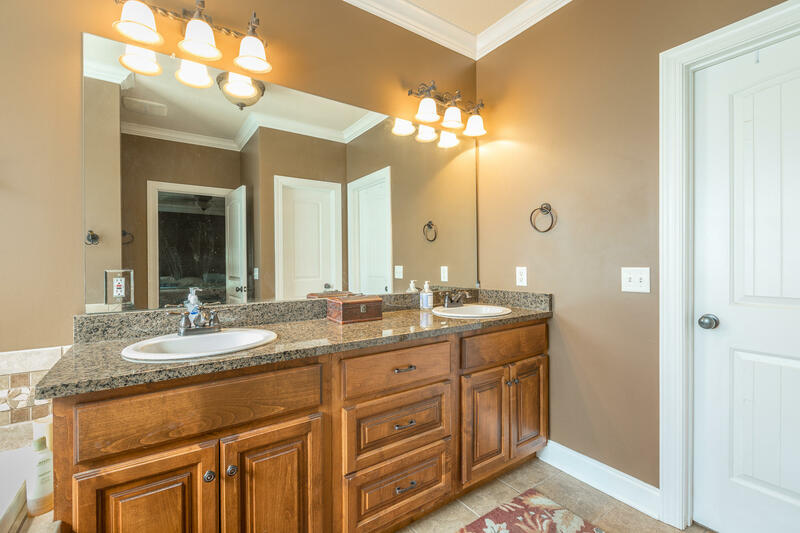 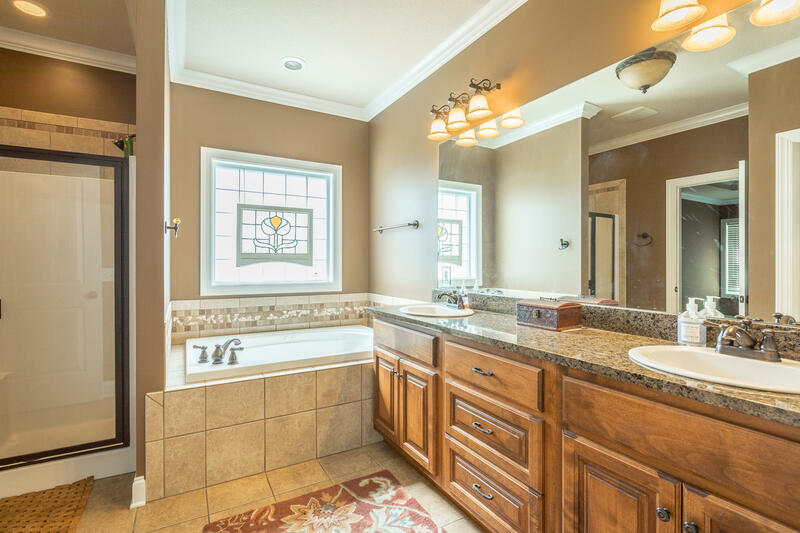 The master bedroom is oversized with trey ceiling, master bath suite with separate shower and tub - and a HUGE master closet. 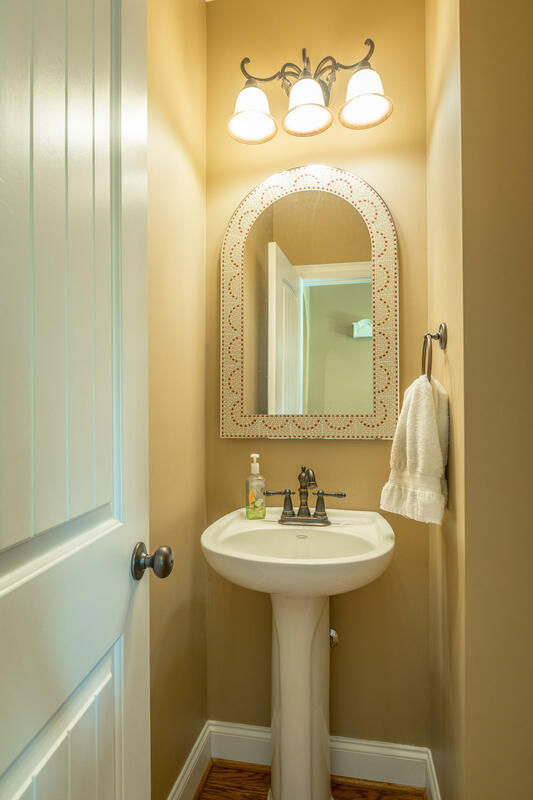 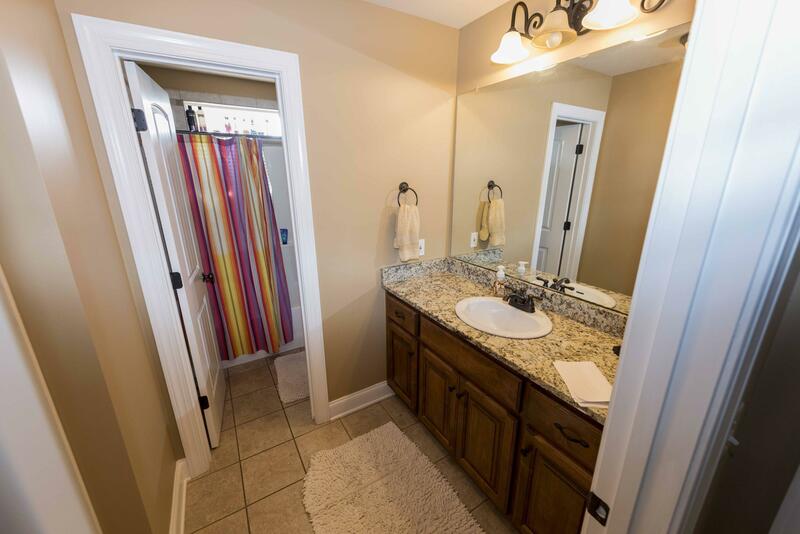 There is also a powder room on main level for guests.Upstairs, there are three large bedrooms and nicely tiled bath. 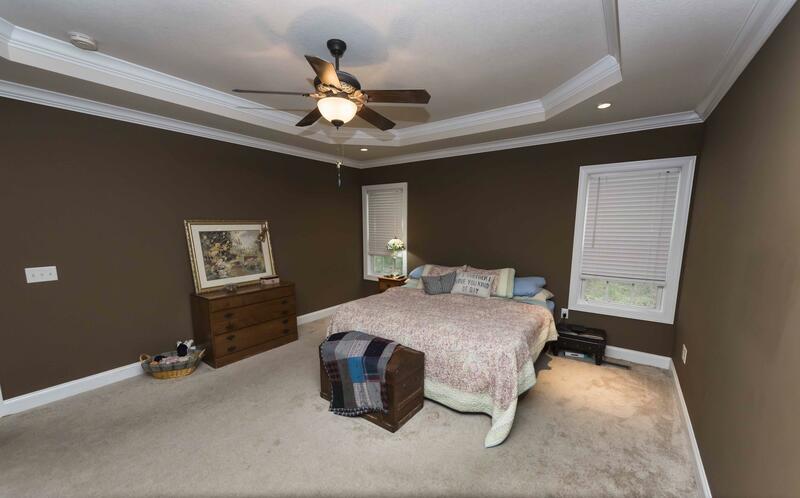 One of the bedrooms has its own seperate living area or playroom area. 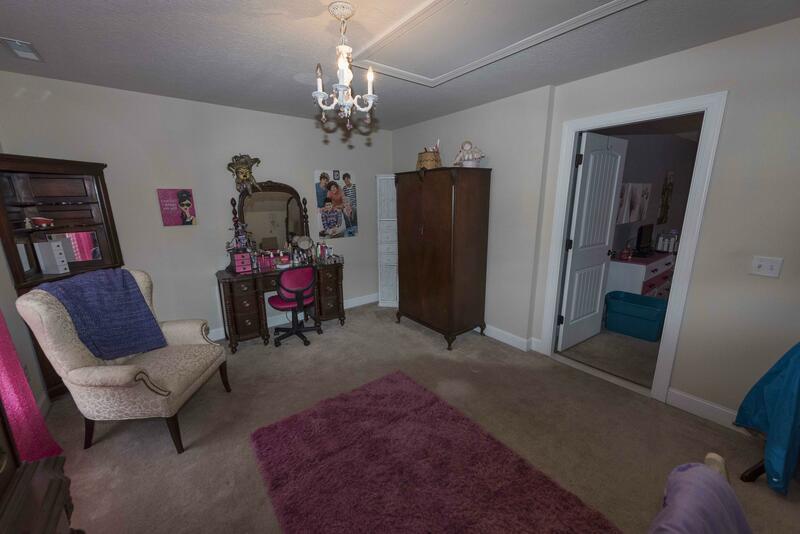 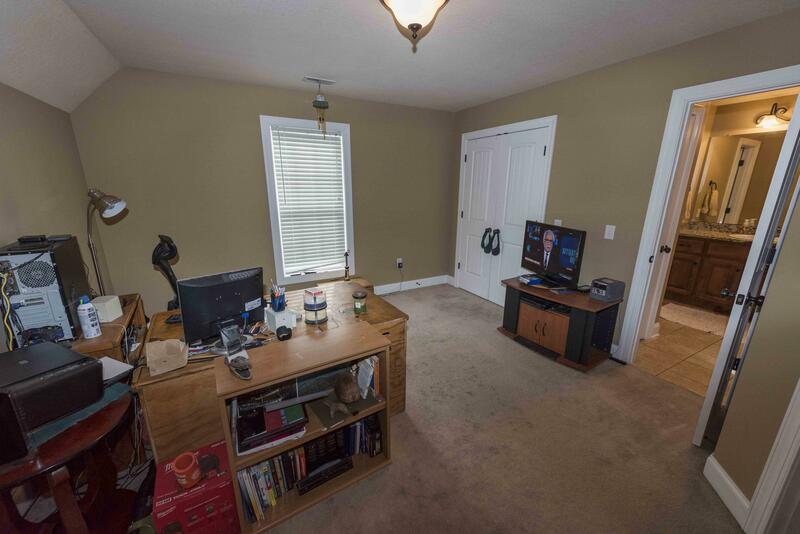 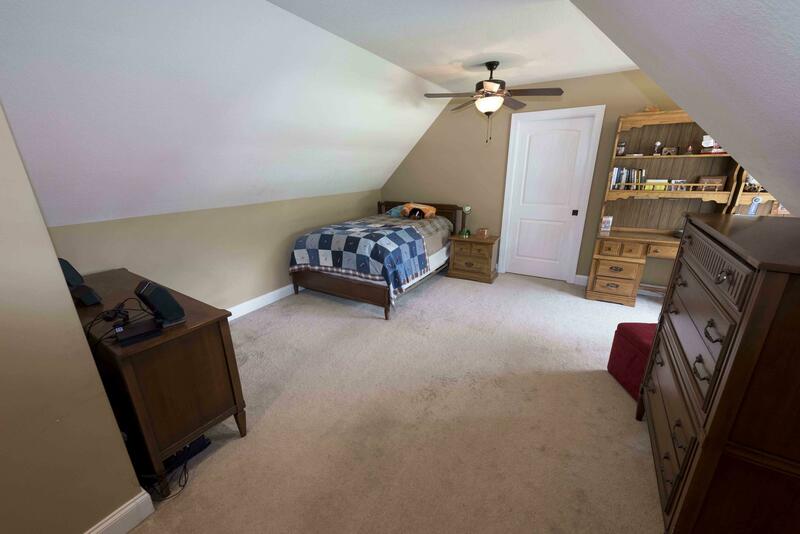 The 4th bedroom/bonus room also has a seperate room that has been used for office. 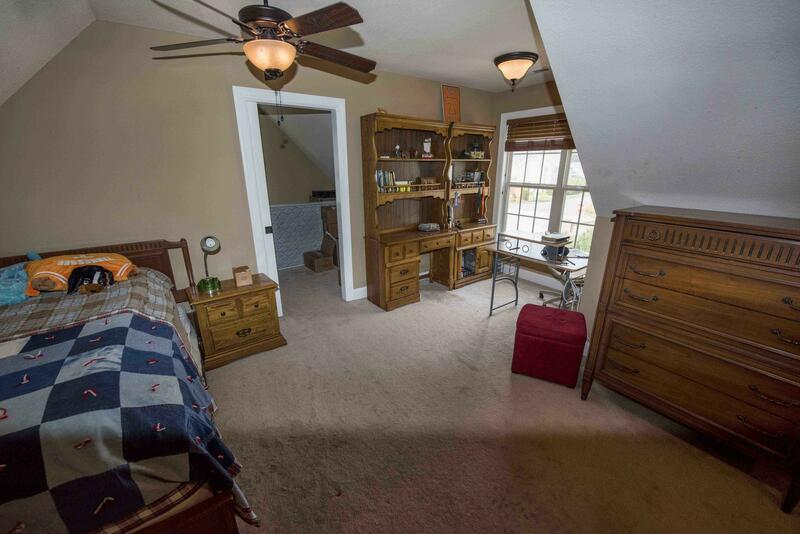 Large double garage has extra room for storage. 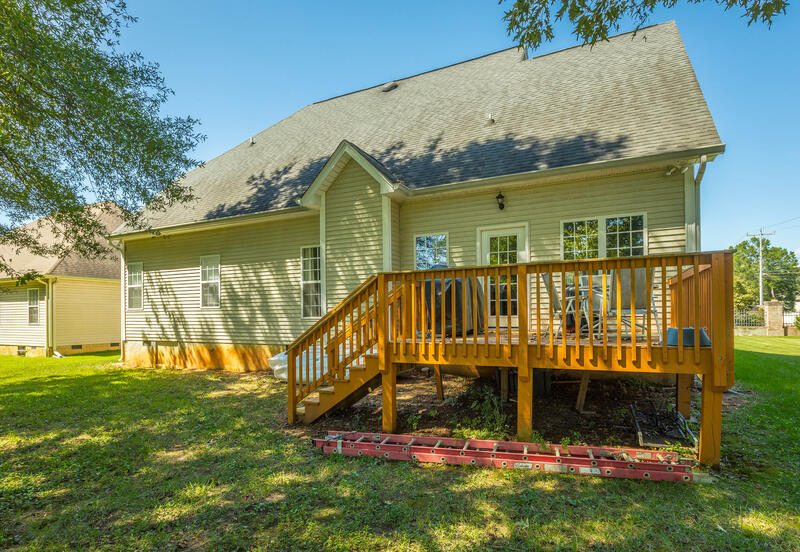 A lot of house in this price! 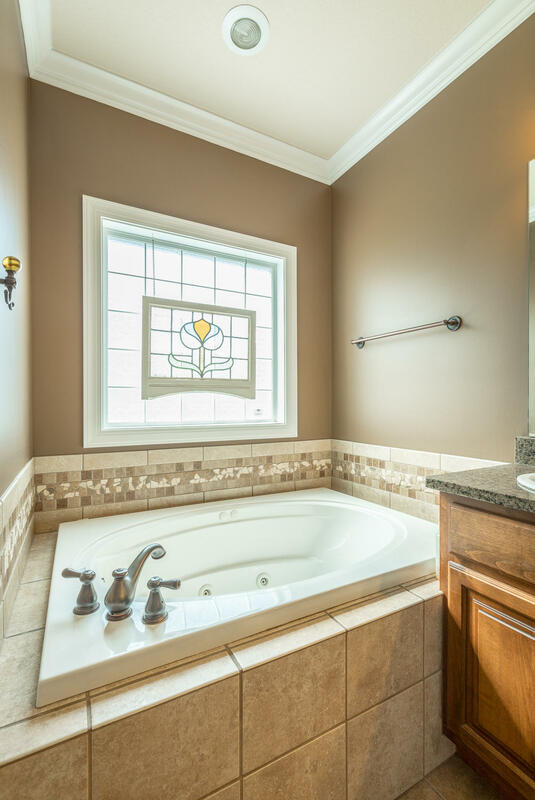 The stain glass in master bath does not convey, the garage shelves can stay or be removed if buyer does not want. 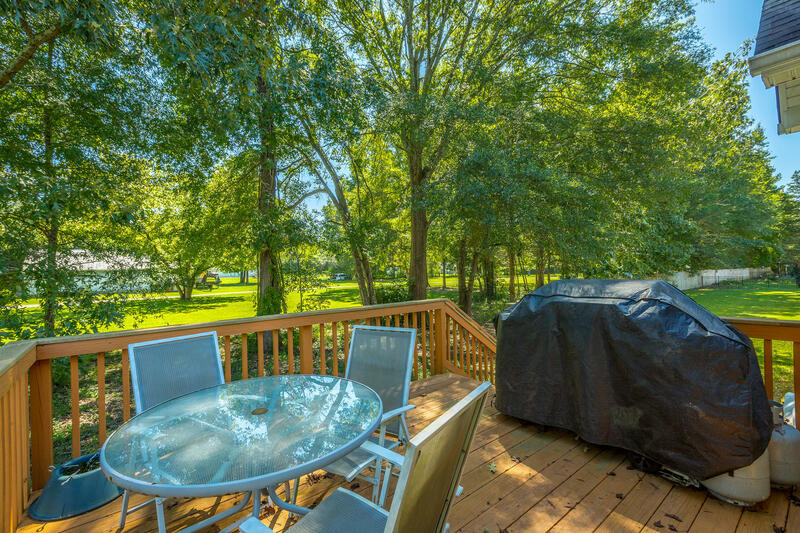 Plenty of room in the side yard for trampoline, swings, firepit, etc.